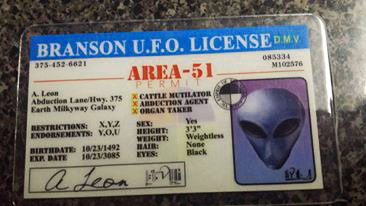 Somewhere in the desert of Nevada, just Northeast of Las Vegas lies Area 51. 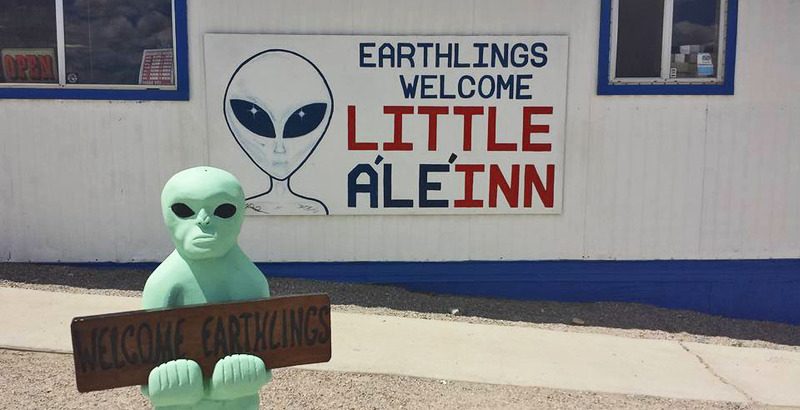 Long believed to be a hot spot for UFO sightings and secret government projects, it is a magnet for UFO believers. 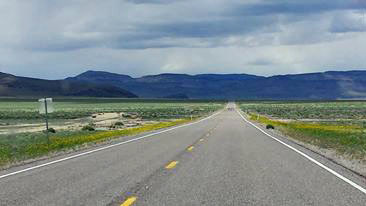 Of course as it is a military base that doesn’t technically exist, it’s also fenced off and patrolled my military affectionately known as the “camouflage guys.” So you can’t actually approach Area 51 but you can drive Highway 375 in Nevada which runs close to Area 51. On the way I stopped for gas and a drink and was finally assigned a drivers license that explains so many things about me. 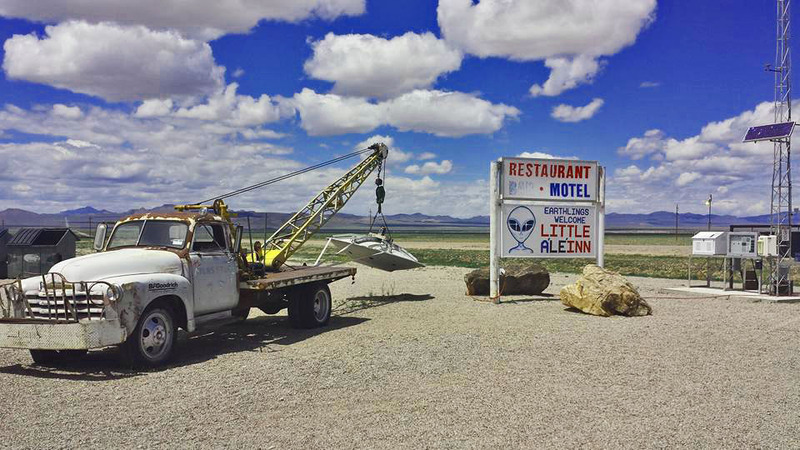 Now the state of Nevada will never pass on an opportunity to create a tourist attraction and some time back the governor designated Highway 375 as the Extraterrestrial Highway. I’ve always wanted to drive it and recently this May I got the chance. 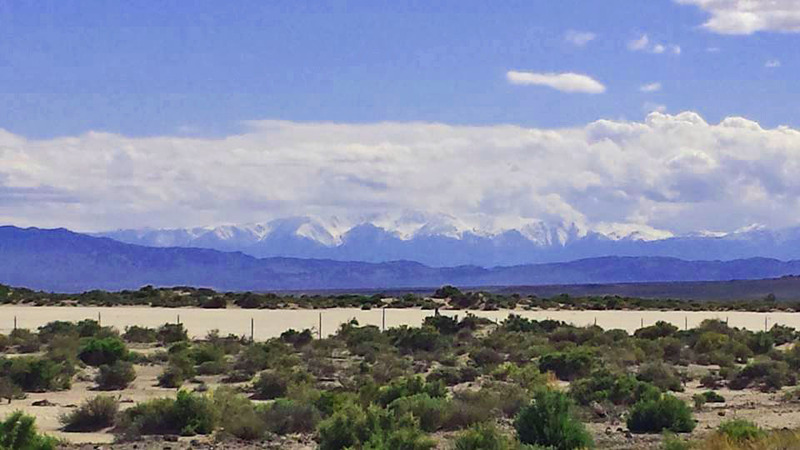 Normally this is brutally hot desert, but I caught a break and not only was it not very hot but a rainy spring had left the desert in bloom. 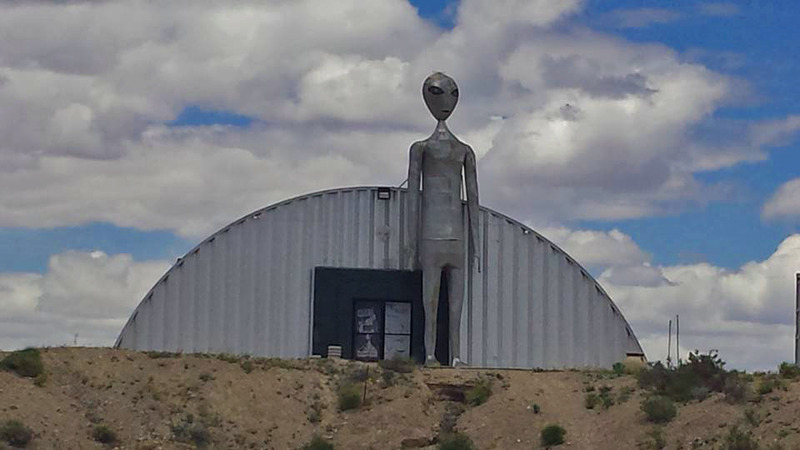 My first stop of course was the Extraterrestrial Highway Sign and my timing was beautiful and the cause of the facial expression in the photo. It was a sunny day and I was squinting to see the screen on my phone to take the picture, and just at the point I clicked the picture a sonic boom exploded over my head. What a perfect introduction to the highway. 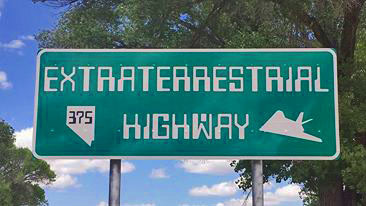 Just a short ways up the road from the sign I spotted my first alien, it was a big grey. 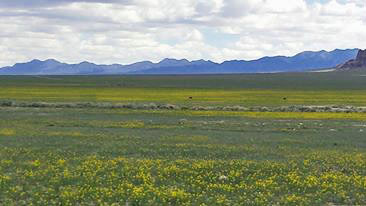 The road itself was imposing for it’s remoteness and lack of traffic but in many places was beautifully framed in blooming wildflowers. 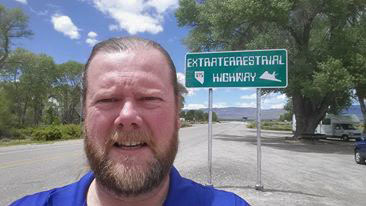 The real attraction of the ET Highway is of course the metropolis of Rachel, NV. 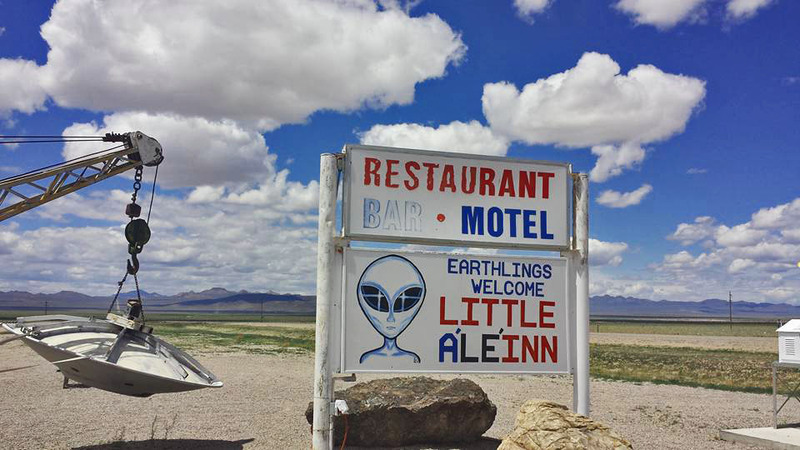 Basically a spot on the highway that includes the Little Ale Inn. 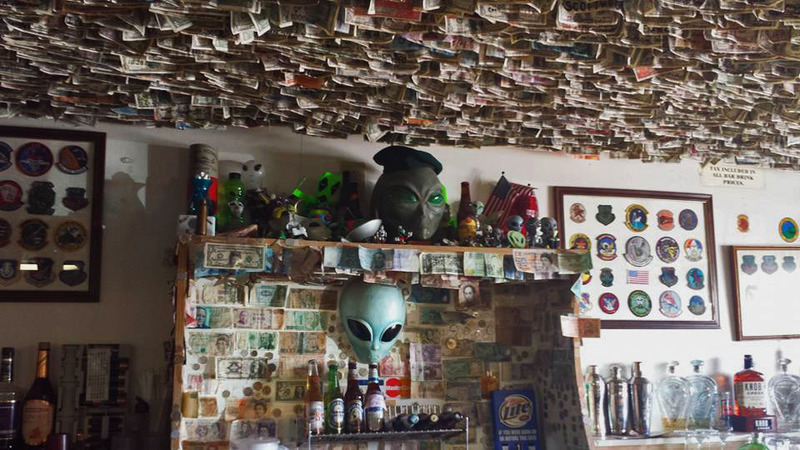 It contains a bar, restaurant, and a gift shop all in one room. 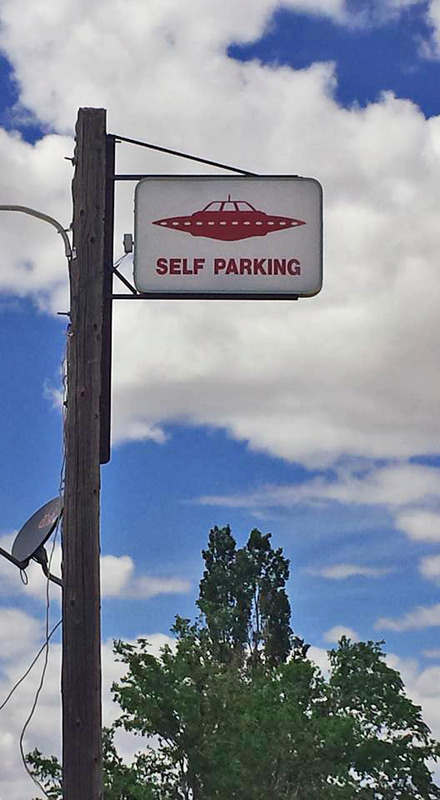 It also has a couple of rooms for rent if you are so inclined to hang out for the night and UFO watch. The food was actual ok and the people were super nice, you may recognize the Little Ale Inn from the movie, Paul. Here are a few shots to give you a feel for the place. Other Posts You Might Enjoy! 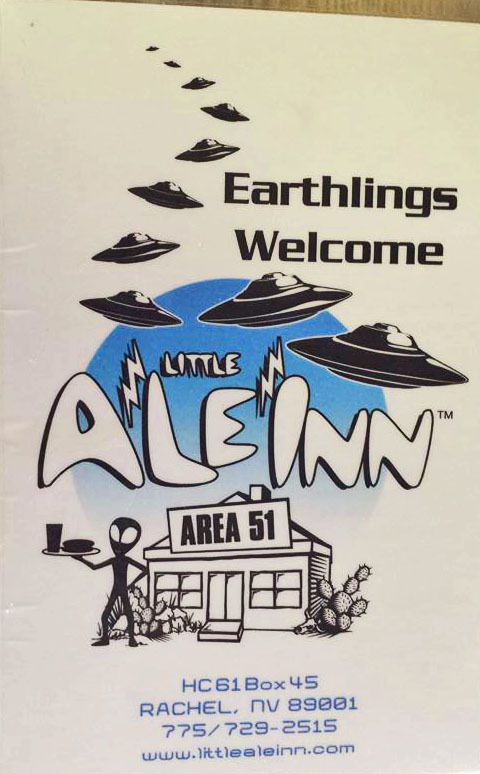 This entry was posted in Happiness on the Road and tagged adventure, aliens, Area 51, extraterrestrial, grey aliens, las vegas, Little Ale Inn, nevada, travel, UFO. Bookmark the permalink.